I love ranch dip, but have never tried making my own before. Last week’s episode of the Food Network TV Show, Worst Cooks in America, featured one of the contestants making her own ranch for a pizza challenge. This inspired me to create my very own vegan ranch with a chipotle twist! This delicious dip is cool and creamy with a smoky heat. It’s so addicting that I’m eating it as I write this post! 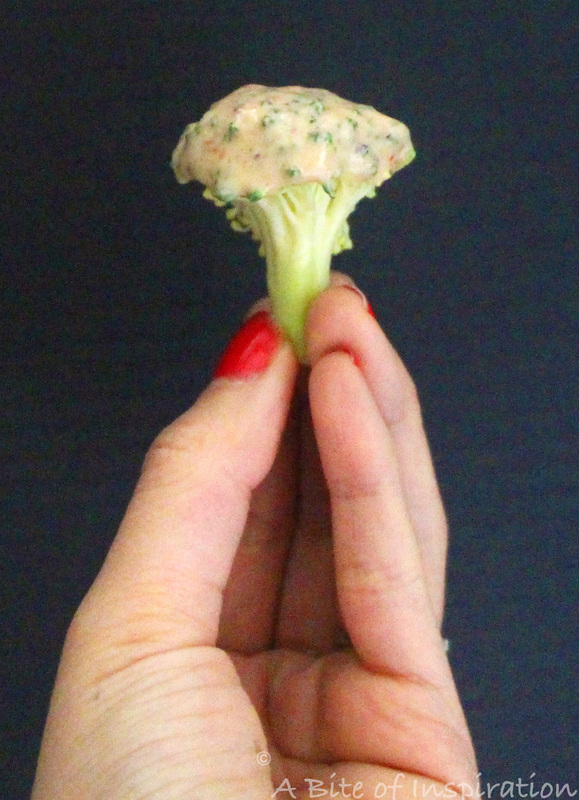 Trust me, you want this dip in your life. Read on for the simple recipe! The Food Network competition show I’m particularly invested in right now is the current season of Worst Cooks in America. For those who haven’t seen it, it’s a cooking competition show where the contestants are the self-proclaimed “worst cooks” and Anne Burrell and one other celebrity chef (currently, Rachael Ray) teach them how to cook. Each week, cooks are eliminated and the last two standing cook a “restaurant quality” meal for a panel of judges for $25,000. I know the premise is kind of silly, but the show is on its 10th season, so clearly I’m not the only one who gets a kick out of this. I mean, first of all, Anne Burrell is an absolute gem. She’s just so sassy. And, her HAIR! Oh my gosh, I want. I also love and adore Rachael Ray, who has been Anne’s co-star the last few seasons. Although I do miss the seasons where Bobby Flay was the co-star (sigh ???? ), Rachael is definitely one of my favorite Food Network stars. I have like 50 of her cookbooks. In addition to the lovely Anne and Rachael, the contestants on the show are (usually) amicable and genuine people, so they’re interesting to watch. So, at this point, you’re probably wondering what the heck this TV show has to do with Smoky Vegan Ranch Dip. This is the part where I tell you– try not to get blown away by excitement here. On last week’s episode, “Fish Freak Out” (yep, that’s really what it’s called), the contestants are charged with making pizzas with gluten-free crusts in the first round. One of my favorite contestants, Laura wants to put ranch on her pizza and delightfully exclaims, “it just occured to me for the first time, people make ranch dressing!” Yes, Laura this is true. So, she proceeds to make her ranch dressing and cleverly adds jalapeno to it for a bit of heat. And guess what? Rachael Ray actually liked Laura’s ranch: “I love contrast of the cool creamy ranch, but you had a little too much sauce going on.” Good enough, we’ll take it. Go Laura! Laura, as a self-proclaimed worst cook, would probably be shocked to hear me say this, but her homemade ranch dressing actually inspired me! As some of you may know from reading my Vegan Black Sesame Avocado Mousse post, I was told by my doctor that I need to cut down on dairy this year because of some health issues. I love ranch, but, obviously, there’s dairy in it. So, I decided to be like Laura and make my own vegan ranch with a spicy twist. But, instead of jalapeno, I decided to go with chipotle because it adds a little bit of smokiness to it, in addition to the heat. It took me several tries, but I can’t believe how good this dip turned out! This ranch is so creamy and dreamy, you won’t believe it’s vegan! The trick is to use a good vegan yogurt as the base and then add a splash of vegan milk. PLEASE NOTE: it is incredibly important that the vegan yogurt you choose in unsweetened! A lot of “plain” vegan yogurts actually contain a very high sugar content– I once saw one with over 9 grams of sugar! As you can probably guess, that will make your ranch dip incredibly sweet and not at all appetizing! I used Forager Project Dairy-Free Yogurt: Unsweetened Plain. It says right on the label that it only contains 2 grams of sugar per serving. Unfortunately, it’s not available on Amazon, so I couldn’t post a link to it. But, I found it at Whole Foods in the yogurt section, so hopefully you can too! If not, any other plain non-dairy yogurt will do as long as it says “unsweetened” and/or contains less than 3 grams of sugar per serving (check the label!) Obviously, your vegan milk should also be plain and unsweetened, but that’s a lot easier to come by. I was so blown away by the flavors of this Smoky Vegan Ranch Dip that I’ll definitely be making it again the next time I have company, so that I can share the goodness! 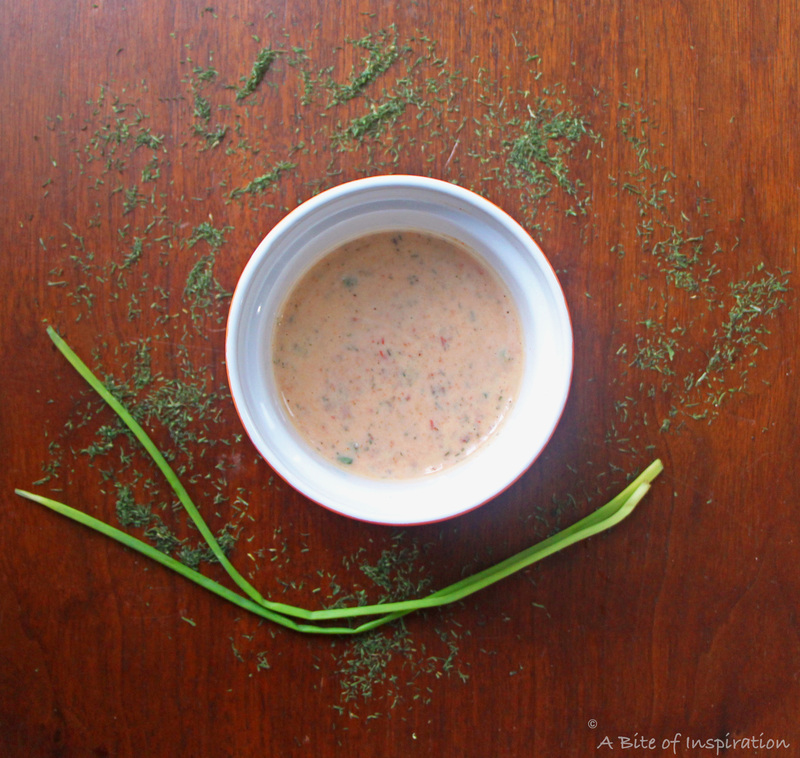 The seasonings are spot on with the beautiful flavors of onion, garlic, dill, and fresh chives. 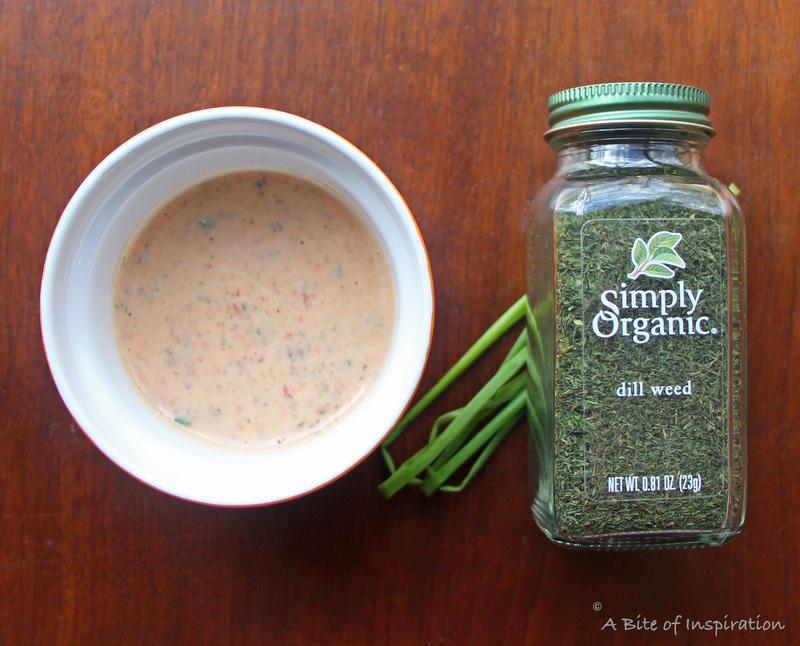 I really like Simply Organic dill because it has a strong, bright flavor that some other dried dills lack. 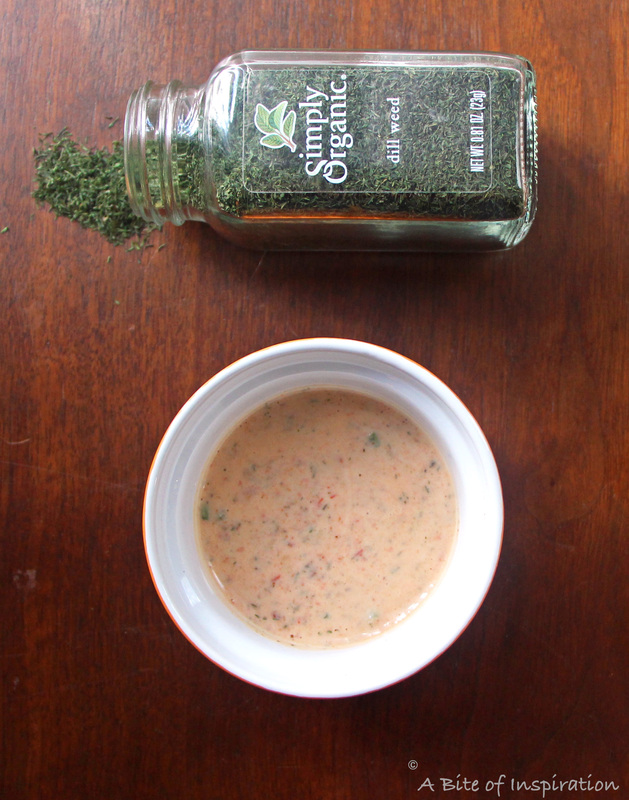 The addition of the chipotle gives the dressing a smoky heat that is dowright addicting. Everything about this dip is just perfect; I’m so obsessed! And, you can literally put it on anything from crudite to salad to crackers. It is just so so good! Even when I can eat dairy again (knock on wood), I’ll still be making and eating this Smoky Vegan Ranch Dip for all of eternity. Hope you enjoy it as much as I do! Put yogurt in a medium bowl. Add milk. Mix well. Pour yogurt and milk mixture into a food processor. Add the chipotle pepper. Process on high until smooth. Add the remaining ingredients (all the spices) to a separate medium bowl. Mix well. Pour the chipotle yogurt mixture into the bowl with the spices. Stir well. Serve cold. Make sure both your yogurt and your milk is plain AND unsweetened! A lot of plain vegan yogurts contain high amounts of sugar, so make sure you check the label for 3 grams of sugar per serving or less. I love watching cooking competition shows, too! My favorite is Top Chef but I definitely need to check this one out! This looks super yummy – I’m a huge fan of chili’s in adobo. They give everything such a great flavor. Thank you so much, Ali! Top Chef is a great show too and I’m obsessed with chipotle peppers in adobo. Thanks for stopping by! I love the story of your inspiration for this recipe – funny where we get inspiration from, right? Such an easy recipe, and easy to substitute with regular yogurt and milk if you choose. Thank you so much, Neena! Haha you’re totally right! 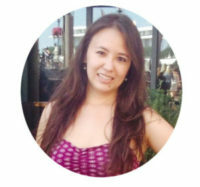 I never realized how random some of my recipe inspiration was until I started this blog. But the randomness is definitely what makes it fun, right? 😉 And, yes! You can definitely substitute regular milk and yogurt, if you want. It will taste just as good! Thanks again! I love your thinking, Joyce! This would be PERFECT on wings! Thank you so much! Ranch dip and pizza. That does not sound good to me at all. Your dip, on the other hand sounds fantastic. I’ll try it non vegan because I have the ingredients on hand. Do you think it would work with fresh dill? Thank you, Romain! Yes, fresh dill would absolutely work! You’ll want to add a bit more dill if you use fresh though because dried herbs have a stronger flavor. You often have to double fresh herbs to get the same flavor punch as dried. Be sure to let me know how it works out. Thanks again! Loving this combo so much! Thanks for sharing, Alyssa! I am so excited about this recipe! I love ranch dressing, but detest mayo, so it has always been hard for me to get over the fact that I know I’m eating mayo. This is the perfect solution! A ranch without mayo. Thanks for sharing! I love ranch AND spice, you’ve combined them! 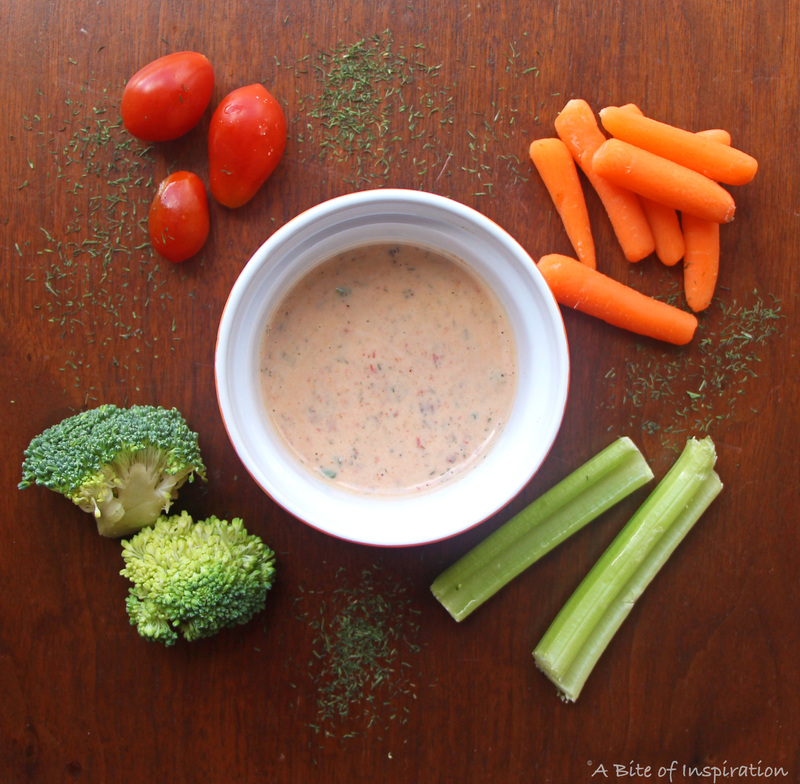 Can’t wait to make this smoky ranch dip at home, especially since it’s made without all the nasty preservatives store-bought versions contain, thanks for sharing! Thank you so much, Erica! Homemade dip is definitely way healthier and tastier than store bought– plus it’s so easy to make! Thanks again!